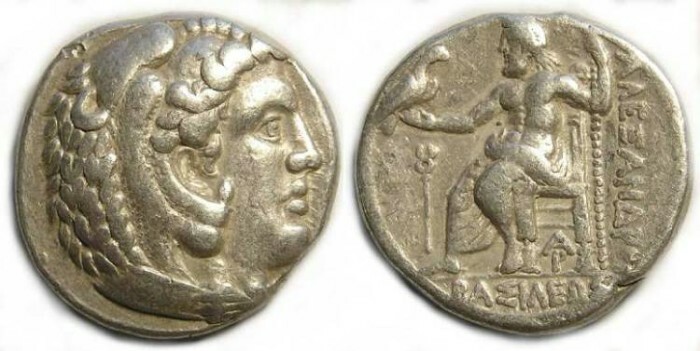 Date : Price dates this type to between 328 and 323 BC, making it a lifetime issue. Size : 24.8 x 26.0 mm. Weight : 17.07 grams. Reverse : Zeus seated left, holding a sceptre and eagle, with BASILEWS below and ALEXANDROU to the right, with a caduceus below Zeus' arm, and an A over a R below the throne.